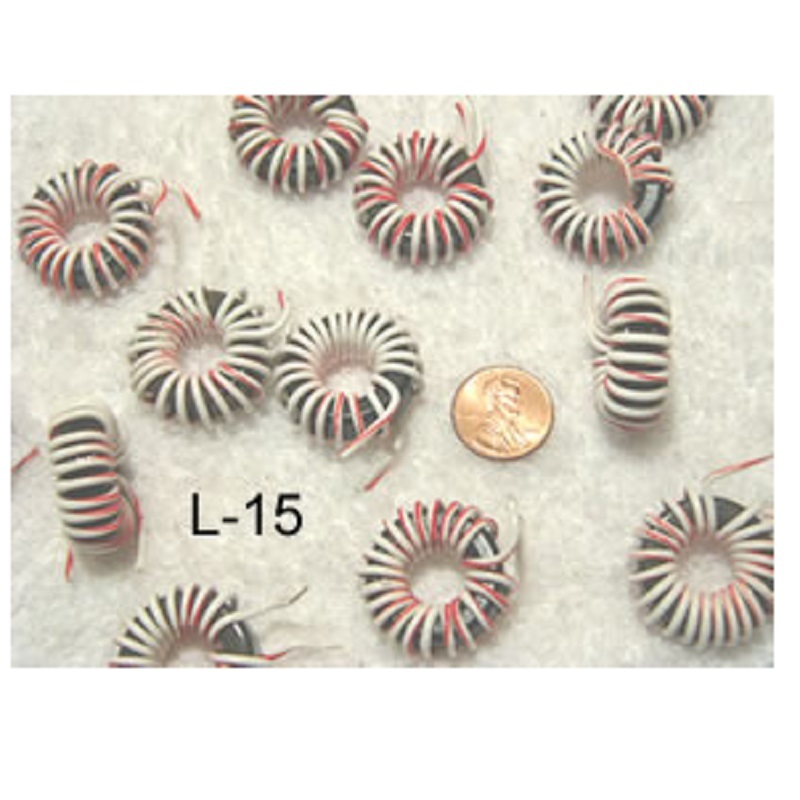 L-15 Ferrite Core Inductor - Max-Gain Systems, Inc. These inductors are wound over ferrites that measure 1 inch O.D. X 1/2 inch I.D. X 5/16 inch wide. The inductance measures an average of 3.6 microhenries (all measure very close). These were removed from medical equipment operating at 13.56 Mhz, so they should be suitable for HF use. The wire used is silver plated solid copper with Teflon insulation.